In 2007 Steve and Gretel Adams established Sunny Meadows Flower Farm. They started by selling just zinnias and sunflowers, immediately fell in love with sharing their joy of flowers, and their obsession with flower artistry began. 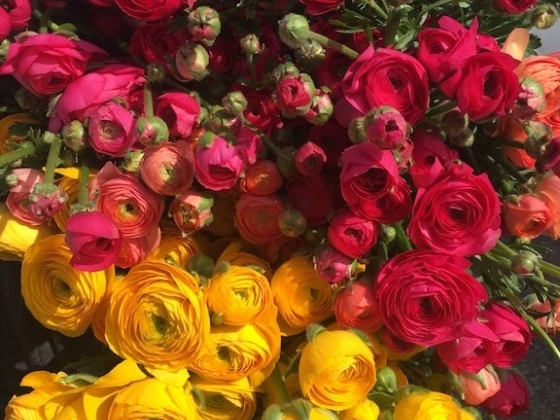 Using seasonal flowers and choosing blooms directly from their fields, they create new and ever-changing bouquets. Floral designers love Sunny Meadows because they can select unusual colors and varieties for their clients. 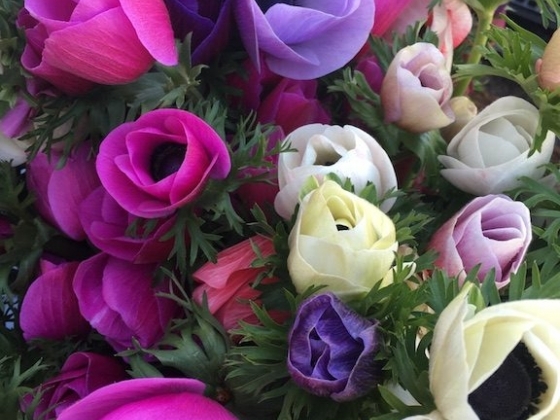 Retail customers are continually surprised by the flowers in their farm-fresh bouquets. 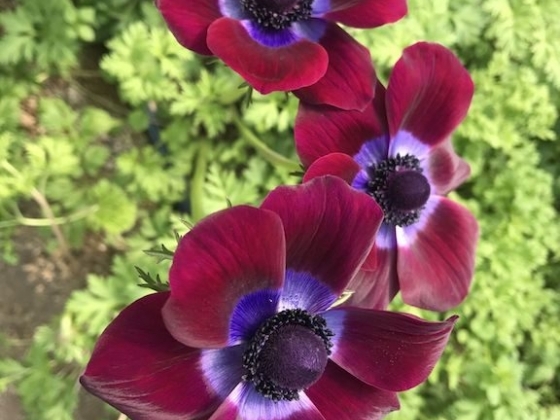 In the twelve years since Steve and Gretel embarked on this botanical adventure that is now their life, Sunny Meadows Flower Farm has continuously expanded. 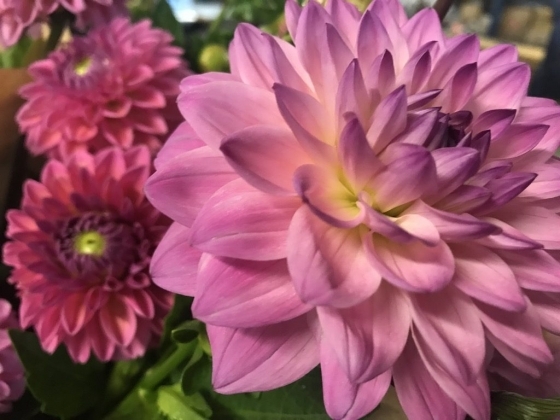 Steve and Gretel focus on both production with a focus on specialty crops like dahlias, lisianthus, ranunculus, and woody perennials. 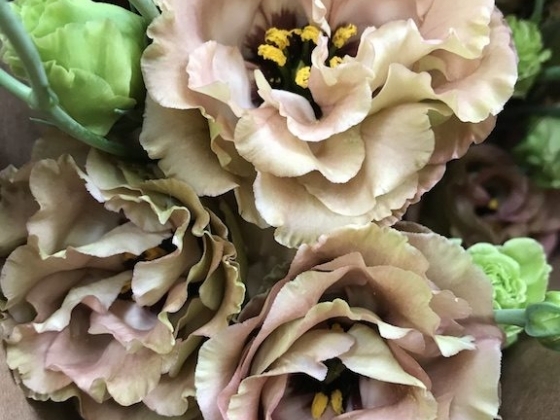 They remain committed to supplying locally-grown flowers to people in Ohio, but now ship Ohio flowers nationwide as The Columbus Flower Company! Contact them today to be set up as a wholesale customer and be added to our weekly florist availability list. They are frequent speakers at conferences and are regular contributors to Growing for Market, a resource for commercial flower farming. Listen to their conversation with Debra Prinzing here. Take a walk through the fields with us to see all the hard work that goes into growing all those beautiful flowers. Located off Winchester Pike in southeastern Columbus. Thursday 11:00 am – 7:00 pm Friday 11:00 am – 7:00 pm Saturday 9:00 am – 4:00 pm Sunday 12:00 – 4:00 pm We are an operating farm, so although we are here at the farm every day, Monday- Wednesday we are closed for retail sales so we can focus on producing beautiful flowers. Wedding and event consultations by appointment. Gretel and Steve grow the most gorgeous and healthy flowers! Their mixed bouquets are unbelievable and their wedding work is beautiful. Check them out on Instagram for great photos.